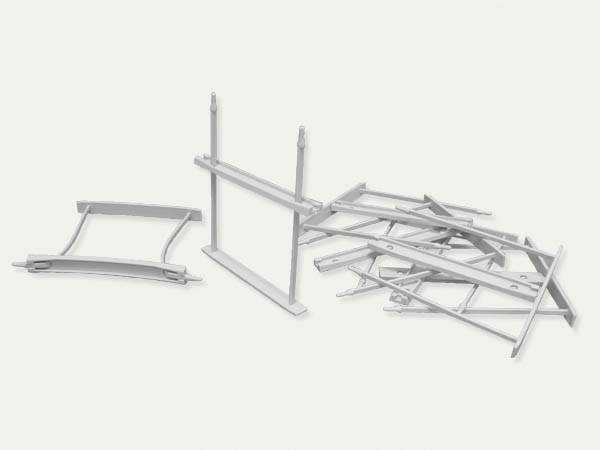 Filing mechanisms are used for space-saving relocation of binder contents. About a third of the former volume can be saved by relocation of a document binder for example. The filing mechanisms developed by Klug-Conservation made of pure polyamide can be used for space-saving archiving. They also offer an opportunity to read or copy the bundled documents without removal of individual sheets from the bundle. Filing mechanisms made of polyamide plastic for usage in folders and pre-punched file/folders enclosures. The filing mechanism is made of pure polyamide plastic material, light grey in colour.